I, like many of you I’m sure, have been getting into the holiday spirit what seems to be a lot earlier than usual. Now that I have a shiny new kitchen, complete with a new gas range, it was time to test it out on some baked goods. I’ve been really excited to make, and decorate, some gingerbread men, and a holiday party was the perfect excuse. I fully intended to follow this recipe exactly, but my pantry and the universe seemed to be against it (no cloves, no shortening, no rolling pin, for starters…), so I had to improvise. (Feel free to riff off my modified recipe below, or check the original link to see what I changed.) Luckily for everyone, these turned out fantastic! Now I know that looks like a long list of ingredients, but it’s mostly spices, so nothing too crazy. And I didn’t have cloves which is why I got all creative with the pumpkin pie spice and allspice. Anyway – the entire process will take hours. This is my warning to you. 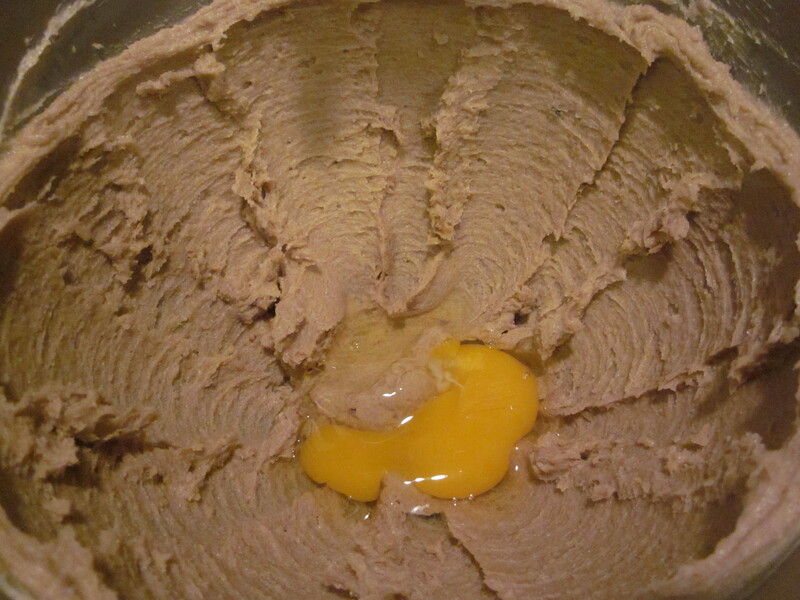 The dough needs to chill for a few hours before you can manipulate it. And if you want to decorate, you’ll have to allow for a few hours for the frosting to set before you can stack the cookies and take them where you want to go. 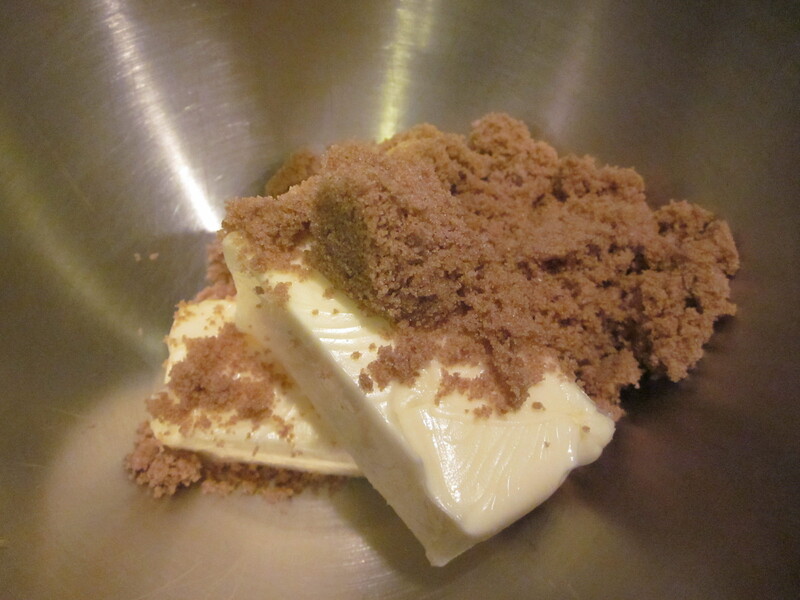 In a mixer, cream together the butter and sugar. When it’s fluffy, add in the egg, and mix. 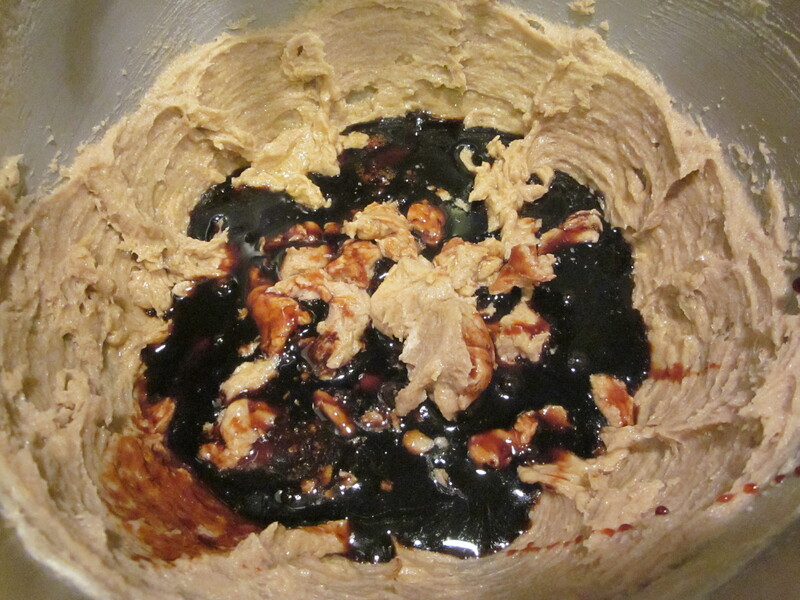 Next, add in your molasses and mix until incorporated. 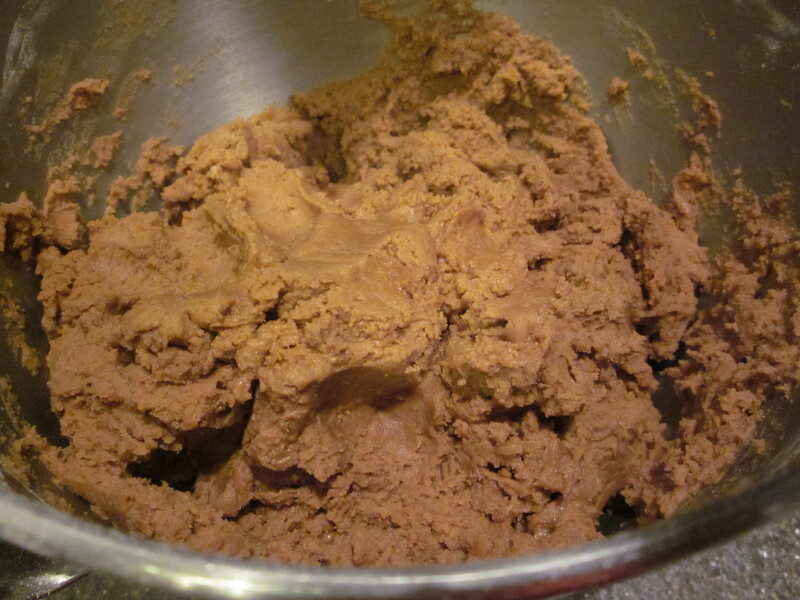 Using the dry/wet/dry method – add half your flour mix into the butter/sugar/molasses, and mix on low until almost incorporated. Then add your water, and stir until almost mixed in, and follow up with the remaining flour, and mix until there’s no powder visible. 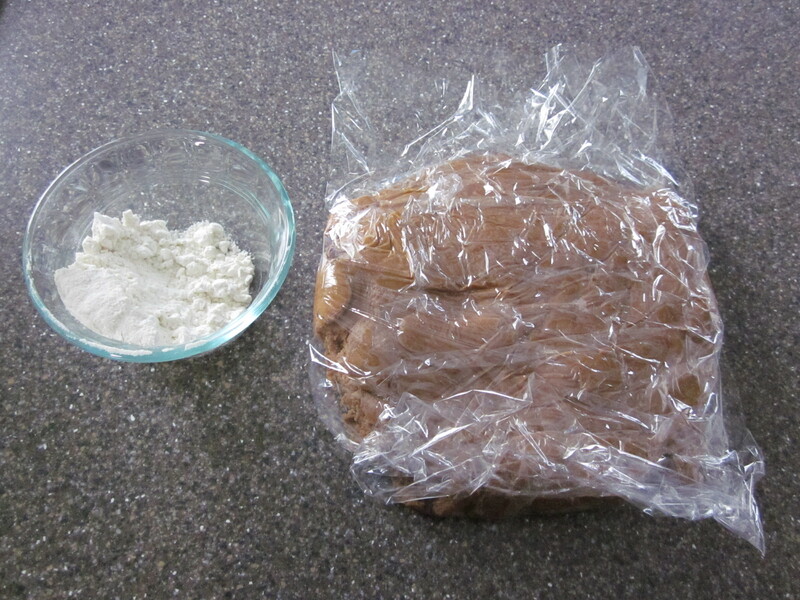 Take your dough, which will be pretty sticky, and portion it into 3 pieces in plastic wrap. Pat the dough down until it’s like a thick pancake, don’t leave it as a ball. Refrigerate for at least 3 hours (or up to 2 days). One at a time, so the others don’t warm up too quickly, take your sections of dough from the fridge and roll it out to about 1/4″ thickness. Make sure to flour the surface and your rolling pin. This stuff got really sticky pretty quickly. 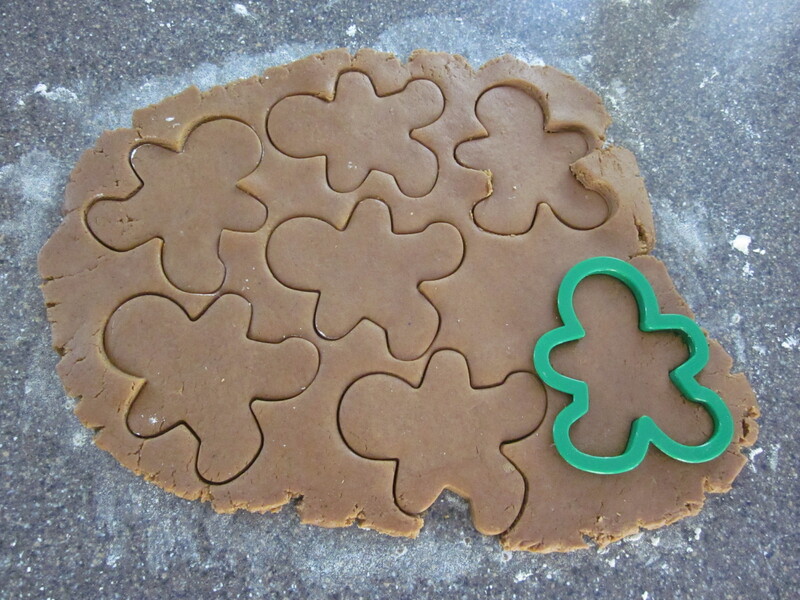 Cut out your shapes, and bake them on an un-greased sheet for 10-12 minutes about 1″ apart. 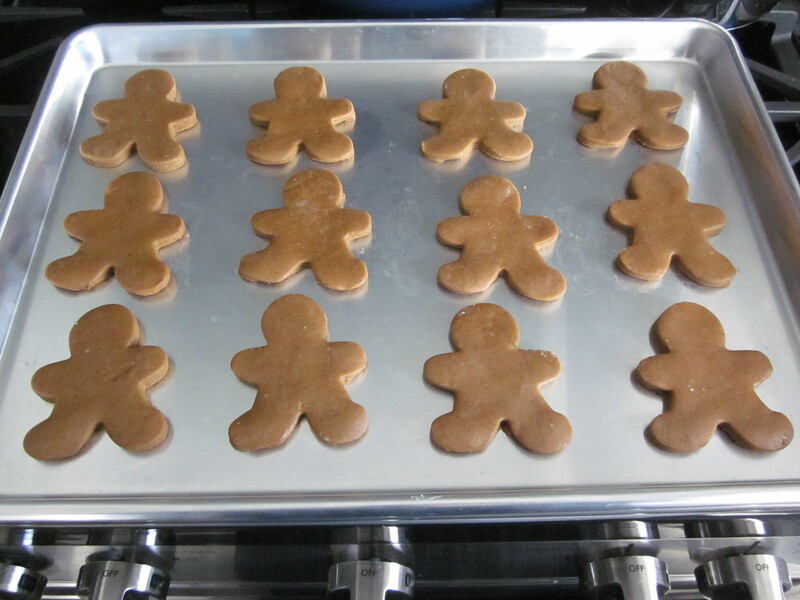 Let them cool in the pan before removing them to a rack to finish cooling. 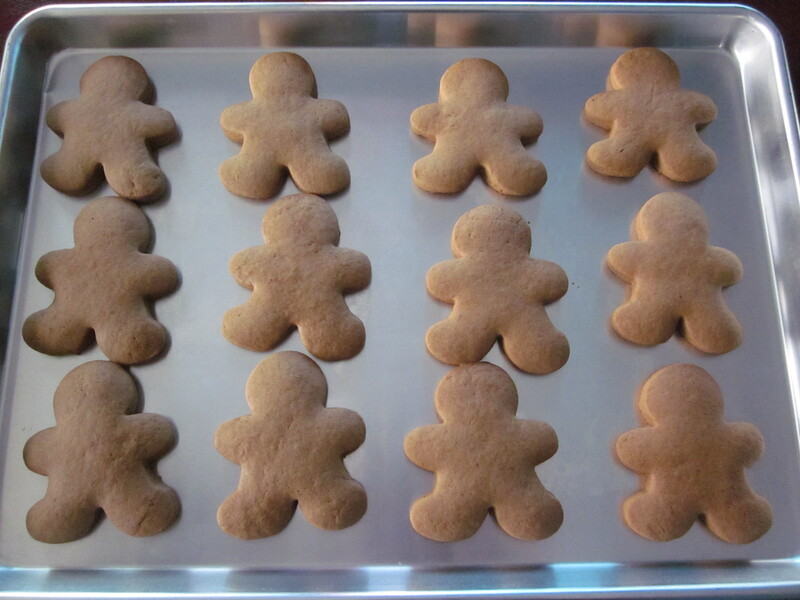 They may feel cool after long enough out of the oven, but the undersides will still be a bit too pliable. 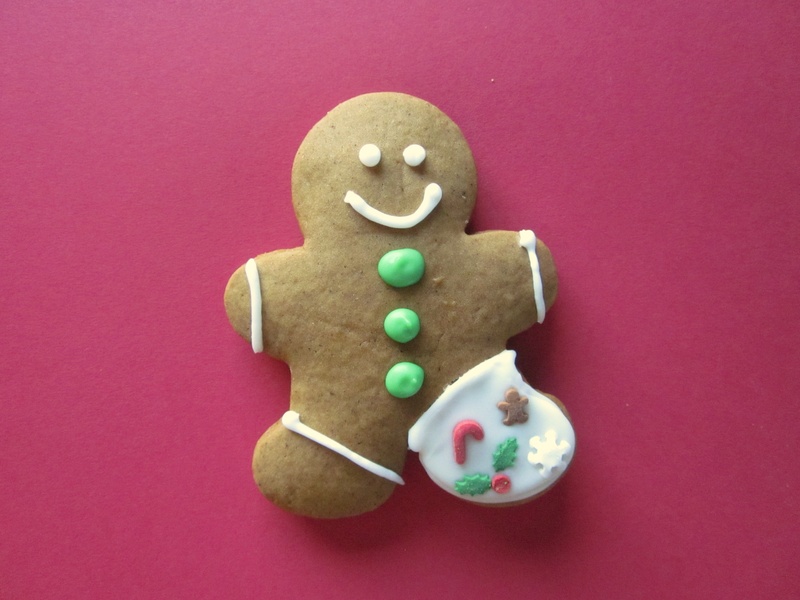 Once cool, decorate with royal icing or buttercream if you’re so inclined. I opted to buy Betty Crocker Cookie Icing because it was easier, and it’s harder to get vibrant colors like that on my own. Here’s a lesson I learned. 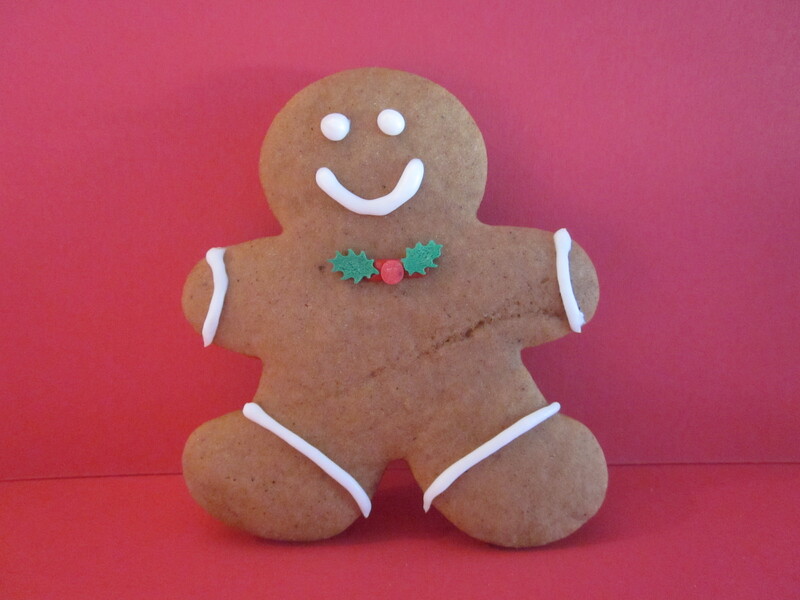 That icing is great for flooding (ie filling in an entire cookie shape with one color), but not great for detail work. You’ll need some stiffer icing to build a dam around the edges. Otherwise the icing will just drip off the side. So I ended up squeezing the frosting into a bowl and adding powdered sugar to thicken it. They turned out pretty cute, if I do say so myself. All done up in their holiday best! Evil rating of 4 for these because they were addictive, but there weren’t enough after taking some to a party, and some to work, for people to get too crazy. The great thing about these is they’re not the rock-hard kind you use to make houses, but they were more cake-like. Delish. And no broken teeth! I did still get some angry comments about them, though, which warmed my heart on this chilly December day. And not a one was left at the end of the party or the work day, so mission accomplished. 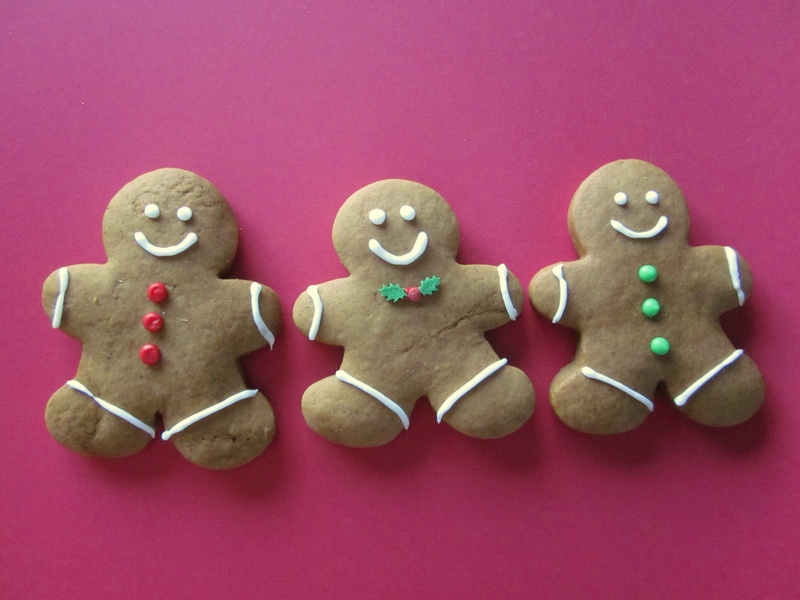 How do you decorate your gingerbread men? Classic like these guys? 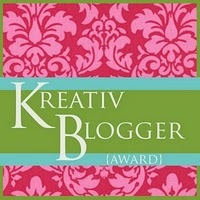 I have some other suggestions in an upcoming post, so stay tuned! These are adorable. I am not a fan of cloves, so I like your alterations. The casualty is too cute! Thank you 🙂 I don’t mind cloves, but I certainly didn’t notice them missing anyway.